California is a beautiful state, both naturally and architecturally. Not surprisingly, many of the most beautiful college campuses in the world can be found here. Based on the beautiful college lists of several national publications, student votes, and our own editorial judgment, here are our picks for the 25 most beautiful colleges and universities in California. The pristine Stanford University is located in the Santa Clara Valley. Palm trees line the scenic Palm Drive that welcomes students to one of the best, and most beautifully designed, campuses in the world. The styles that best signify the campus are the intricately detailed red clay tiles that adorn the roofs of each building, such as the notable Hoover Tower that looms over the spacious grounds. The Catalina islands welcome visitors by the thousands each and every year, the area renowned for its unforgettable views of the vast Pacific Ocean. Students are able to enjoy life right on the Pacific Ocean, while residing in what are considered by many to be among the best student dorms in the U.S. A variety of the buildings on campus were delicately crafted by using Mediterranean architecture, including the Keck Science Center. 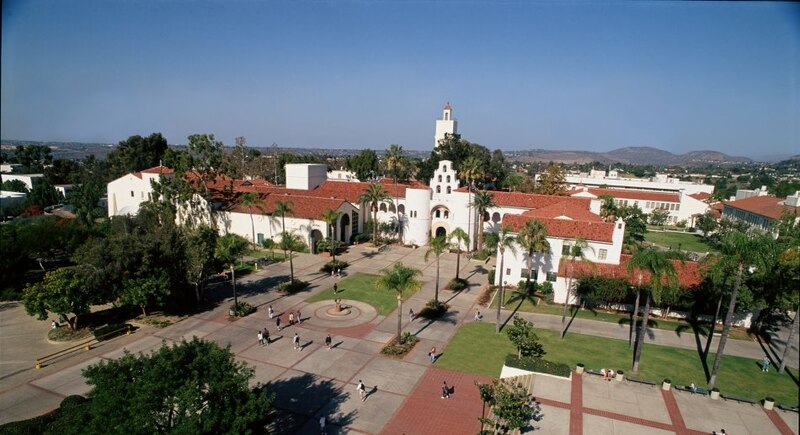 The renowned University of San Diego was designed in a Spanish Renaissance architectural style, in the hopes that a beautiful location and setting overlooking both Mission Bay and the San Diego skyline would result in a better college experience, a hope that all students who attend there agree with. The Immaculata Chapel, in particular, highlights the typical unblemished white buildings that permeate the campus, setting the perfect Californian tone for the students. 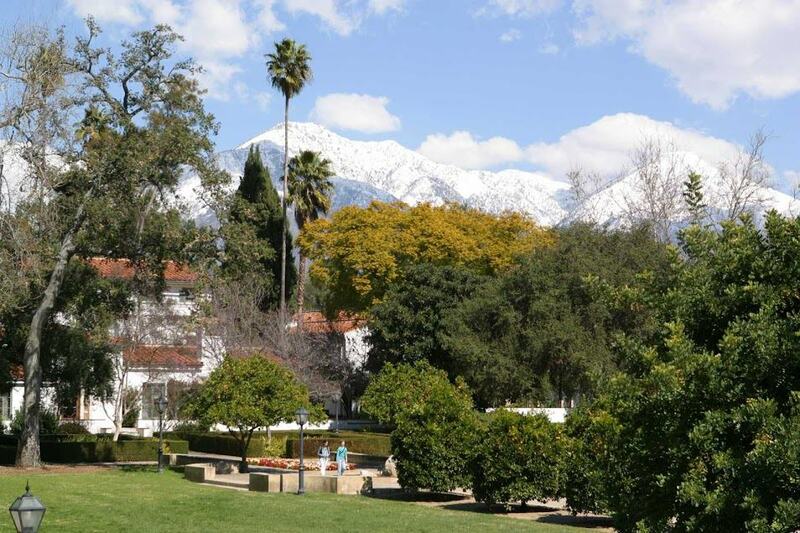 Though smaller than many of the more well known colleges on this list, that very size has allowed Scripps College, located in Claremont, to be consistently named as one of the most beautiful colleges in America. Surrounded by a plethora of lush gardens and trees, the intimate student dorms allow for a relaxed college atmosphere that goes perfectly with the Mediterranean-style architecture that was the basis for the school’s buildings, including the lovely Ruth Chandler Williamson Gallery. Nestled among the beautiful Redwood Forests, UC Santa Cruz opens up to breathtaking views of the Pacific Ocean, wherein students are allowed to spend time in the Great Meadow, a vast expanse of land that lies between the city and the university. Designed specifically with a contemporary architectural-style in mind, the campus plays host to some of the best modern architecture in all of California. Students at the school have, much as the city of Santa Cruz, adopted an attitude of conservation, which has allowed them to save a number of wooden shrines around the campus that give the University its unique feel and atmosphere. Occidental College, located in Los Angeles, has been consistently ranked as one of the most beautiful campuses in the country, due in large part to the elegant and gorgeous tree lined walkways, as well as the amazing social gathering areas. A number of the original buildings that were created in the early 1900’s are still in use today, such as the Dennis and Mollie Collins Admissions House. Myron Hunt, the prime architect of Occidental’s original buildings, was also the designer of the Rose Bowl. Like its namesake, the University of the Pacific perfectly exudes the same warm climate and atmosphere that the Pacific Ocean is known for. Though its location has changed over the years, Stockton being its most recent host, the English Tudor Gothic architectural style that the buildings were created in still remains, which can be seen in the ornate Burns Tower that graces the campus. Students are surrounded by an abundant amount of lovely rose gardens and trees that are situated nearby some of the best student dorms in California. With a large variety of trees lining the walkways of Loyola Marymount University and a majestic mountain range that provides students with some of the best views in the country, its no wonder that this is one of the most beautiful colleges in California. The university is situated perfectly on a bluff in Western Los Angeles that overlooks the gorgeous Marina Del Rey. Many of the buildings on campus sought to mix older and more contemporary architectural designs to achieve a look that is largely unique. Students at Point Loma Nazarene University, located in San Diego, wake up every morning to views of the grand Pacific Ocean that lies directly in front of the school, just one of the many reasons they have some of the best student dorms and apartments in the country. The detailed buildings that line the campus were created using a Victorian style architecture, as well as a European Symbolist style in combination. This style is best exemplified in the recreation of a Greek Theatre that sits on the campus. 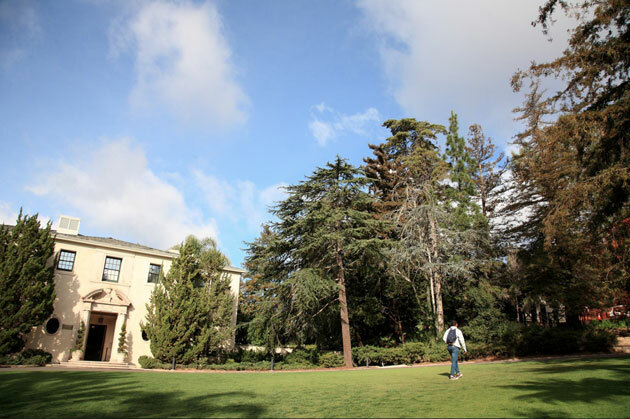 Westmont College resides in the pristine Montecito hills, which are home to a plethora of trees and gardens. The cozy student dorms open up to lovely views of nearby mountains. Much like a number of universities and colleges throughout California, the buildings on campus are comprised of a Mediterranean architectural style that prides itself on its usage of stark white colors. The college is very near to the Pacific Ocean, a fact that is appealing to many students. With large hills in the background and shrubs, trees and gardens in the front, Dominican University of California, located in San Rafael, creates a very woodsy atmosphere for the students that attend there. The many different types of greenery that line the walkways on the campus create an utterly beautiful scene that appears as if from a movie. The architecture present, which includes the alluring Archbishop Alemany Library, mixes the Mediterranean style with a bit of Victorian style, making for a combination that is wholly unique while still being entirely representative of the beauty of California. Located in Santa Paula, Thomas Aquinas College is one of the most distinct and recognizable colleges in California, due in large part to the large and elegant Chapel that adorns the center of the campus. Students awake every morning to a stunning mixture of perfectly manicured lawns and tree-lined walkways that paint an exquisitely picturesque scene. Many of the buildings located on the campus, including the aforementioned Chapel, were crafted using a mixture of Renaissance and Spanish Mission architectural styles, ones that mesh perfectly with the California climate. With a plethora of palm trees spread throughout the campus, the Pacific Ocean seems as if its but a step away. 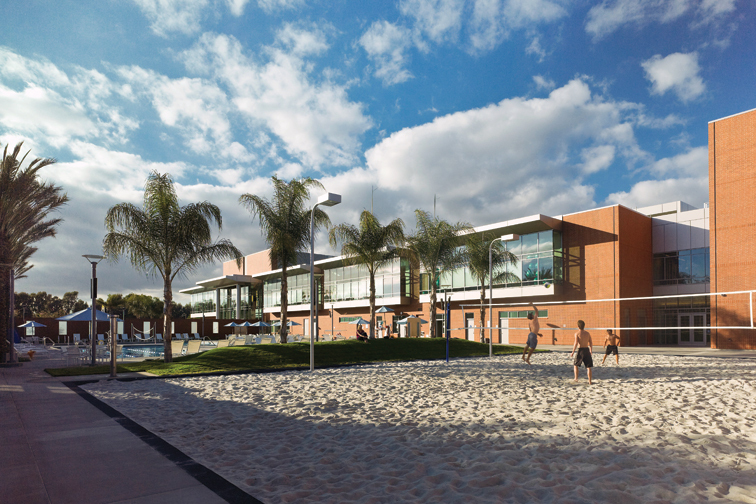 With a distinct beach-like atmosphere, students are allowed to experience the best of California even when on campus. Though located in a typically urban setting, the campus feels anything but, providing one of the many reasons as to why its among the most beautiful colleges in California. One of the highlights of the campus is the Mission Santa Clara de Asis. Due to the historical significance of this building, the variety of buildings on campus were designed using the same architectural style, which is known as Mission Revival Architecture. Walsh Hall is one of the more significant examples of the Mission Revival style. 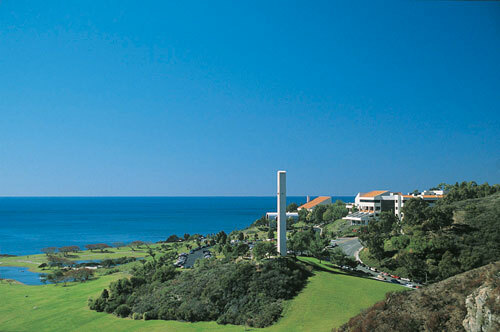 One of the most picturesque campuses in the world, the University of California Santa Barbara is situated on bluffs that sit directly atop the Pacific Ocean. Students are able to wake up each and every day with some of the best views in all of California. The campus is also known for the large Lagoon that lies in front of the notable Storke Tower. William Pereira, one of the most famous American architects, designed the earliest portions of the campus, mainly by using tinted and patterned concrete block. Many of the buildings that were added later used the same architectural style, a style that captures the beauty of the Pacific succinctly and beautifully. UCLA, located in Los Angeles, is likely the most famous of California’s universities and colleges, though also one of the most beautiful. The intricate buildings were created by using a Romanesque Revival architectural style, one that differed from much of the colleges in the area. The landscape is amazingly designed, the sloped lawns in front of Royce Hall being one of the most memorable areas on campus. Set in an overall urban area, the UCLA campus includes the best of both worlds, as well as what are considered by many to be among the best student dorms in the world. Cal Poly San Luis Obispo is one of the most scenic colleges in California, as the entire campus stretches over a vast 9,678 acres that are surrounded by bountiful ranches, forests and fields that students have easy access to. Many of the buildings on the campus, including Cal Poly’s Performing Arts Center, sport a mixture of contemporary urban architecture and a Mediterranean style. This lends itself well to the rural atmosphere surrounding the university. The main portion of the campus is dotted with a large amount of serene greenery. San Diego State University has an almost beach-like quality to its landscape and buildings, owing heavily to its proximity to the wondrous Pacific Ocean. Many of the main buildings throughout the campus were designed by using Mediterranean architecture as their base, including the beautiful Hepner Hall. Students are allowed to experience the city life that San Diego provides while also being able to walk among the many nature spots on campus, including walkways that are lined with palm trees and spacious lawns with perfectly manicured grass. 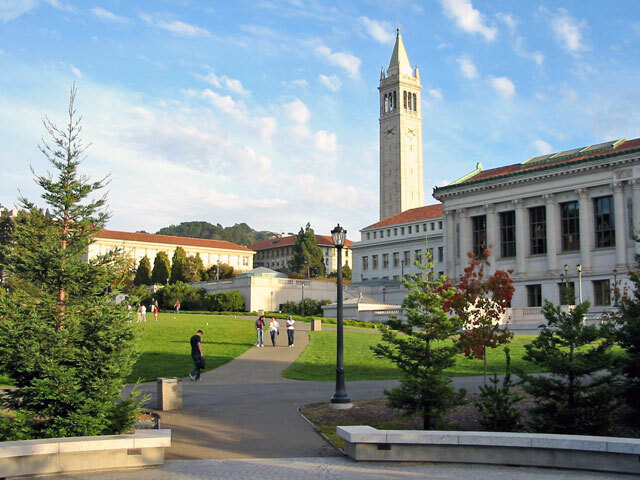 The University of California-Berkeley is one of the most popular colleges in California, and for good reason. Students can wake up every day to gorgeous views of San Francisco Bay to the east of campus, while also being able to enjoy the beautiful grounds filled with trees and gardens that stretch out before them. The university is most notable for the Classic style of architecture used in the design of the main buildings, including the South Hall and ornate Sather Tower. The architect of these historical buildings was John Galen Howard, an American that also designed the San Francisco Civic Auditorium. Much like its sister university, Cal Poly San Luis Obispo, Cal Poly Pomona prides itself in having one of the most beautiful colleges in California, as its elegant buildings and palm tree lined walkways give off an inviting atmosphere for the students. One of the best things about the campus is the diversity in its buildings, as there is a mixture of older and newer buildings throughout the campus, as well as different styles to many of them. The most common architecture used in many of these buildings is known as Spanish Colonial, which fits just right in the balmy climate of California. The California State University in Long Beach is beautiful for a large number of reasons. Primary of those is the gorgeous Walter Pyramid, which is actually a sporting complex. Although the university is situated in a largely urban area, there are a plethora of trees on campus that line the walkways and provide much needed shade for the students. The Eucalyptus trees that stand nearby the Psychology building are lovely in their implementation. The buildings on campus were created using the International style of architecture, which is largely based on minimalism. This was done in order to accentuate the landscape, as the designers felt it was the most important aspect of a university. Thankfully, that vision seems to have paid off. 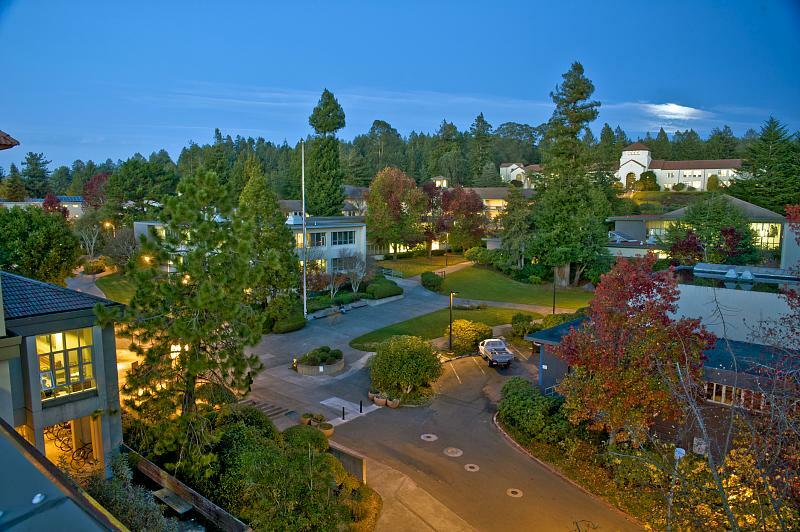 The students at Humboldt State University, located within Humboldt County, enjoy the fact that the college is located just on the edge of the lush Redwood forests, as well as nearby the appealing Pacific Ocean, both of which students have first-hand views of from their student dorms. The general landscape of the campus is filled to the brim with trees and gardens, yet designed in such a way that they are never too overbearing. Founders Hall is the most notable building on campus and features Mediterranean architecture that feels right at home on the Pacific. One of the most impressive aspects of Chico State University is its landscape. Throughout the walkways that take students from each building, they will pass a myriad of different types of trees, shrubs and even small gardens, all of which make for a highly colorful and varied campus. The buildings on the campus were originally designed using a lovely Romanesque style with Elizabethan gables. This allowed for a more sophisticated design among the natural landscape. Chico State’s Kendall Hall is the most notable building on campus. The University of California is the perfect meld of contemporary and historical design. The landscape is designed with elegance and sophistication, the arboretum a favorite spot for the students to experience nature at its finest, while the many buildings strewn throughout the campus are designed with a contemporary and urban architectural style, minimalistic in nature, yet also refined. The arboretum, in particular, is one of the most beautiful locations in all of California and contains 17 gardens and collections that the students are able to peruse for classes and as a means of relaxation. The arboretum contains many of California’s loveliest species of flowers and plants. Founded in 1950, the California Baptist University, in Riverside, is adorned with two palm trees at the entrance to the main building. Similar to the Mediterranean architecture that was used to create many of the similar universities throughout California, the California Baptist University was made with an elegant Mission Revival style architecture that was most popular in California during the 1920’s. The buildings are unique in design, particularly the Annie Gabriel Library, though they stay true to the spirit of the Pacific, a welcome sign to new and former students alike. Sonoma State University, located in Rohnert Park, is known as being one of the most modern colleges in all of California, as its buildings and landscape were all designed to accentuate this. Before the creation of many of the campus buildings, it was decided that the school was to be designed with Urban architecture in mind, a style that would allow the university to have its own unique identity. 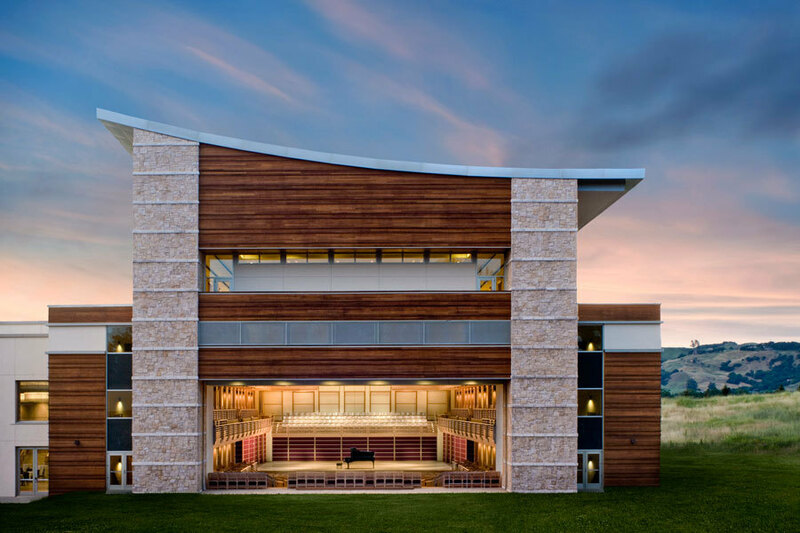 The Green Music Center, the newest addition to the university, is the best example of urban architecture on the campus. Despite its urban roots, there are a large number of tree lined walkways, as well as a few gorgeous lakes that are situated directly behind the Commons.